Winemaking is a science as much as an art. When a vintage is ready to bottle, it’s ready to bottle. At this point, oxygen is the enemy. Bottling protects the wine so that it can age safely. The last thing a winery wants is for the bottling line to go down in the middle of a run. That means time and effort repeating sterilization and purging of used bottles, but also the loss of dozens of gallons of product. It can potentially endanger the wine in the tank, not to mention the processing schedule. A delay of a week might not be such a big issue for a boutique winery but for a top commercial producer that ships millions of cases annually to thousands of retailers around the globe, it’s a big problem. When one of the largest wineries in the United States discovered an issue with the encoders that governed the process of pumping wine to the bottling line, the purchasing department went looking for a better solution. They found it with Dynapar, courtesy of the crossover program. Swapping out one encoder for another ought to be easy. As anyone who’s ever tried to change suppliers knows, however, it can be a frustrating and time-consuming process. Data sheets are hard to correlate from vendor to vendor. Devices have different features and form factors, and even performance numbers get listed differently. Purchasing staffers tear their hair out, maintenance engineers throw their hands up in annoyance, and meanwhile, costs of downtime continue to mount. To prevent these situations, Dynapar has established a set of crossover tools and engineering services designed to simplify finding a Dynapar feedback device that can replace or improve over the existing technology. It starts with the Competitor Crossover Part Guide, found on the Dynapar website. This easy-to-use tool cross-references a comprehensive list of over 27 industrial encoder brands with the recommended Dynapar replacement. Of course, in many cases, the old device is complex or customized in a way that means there is no obvious stock replacement. In these situations, the best approach is to reach out to the Dynapar application engineering team by filling out this form or picking up the phone. That’s all it takes to access the expertise of a team with more than three decades of industry experience. 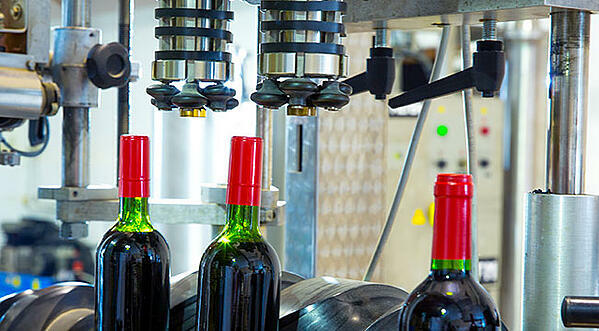 In the winery’s case, Dynapar’s engineers were able to cross the encoder within one day. Just choosing a sensor type and resolution isn’t enough. Often, the best way to start is with a discussion of the mechanical requirements. That might seem counterintuitive for a device designed to deliver high-resolution feedback but if the component won’t fit in the allotted space, it’s not likely to benefit the application. It’s not just a question of size but of form factor, flanges, shaft length, and even the location of mounting holes. The next step is to consider electrical requirements. In many ways, finding a feedback device that can output the same pulses per revolution is the easy part. The challenges are many: The A and B signals may be reversed, the connectors may be different or have different pinouts, the output format may be open collector instead of line driver, or it could simply be a question of output voltage range. In such cases, an experienced applications engineer can determine an appropriate fit and any adjustments that need to be made. In some cases, an old obsolete encoder from supplier no longer in business means that the device is hard to cross because no record of the exact specifications exists. In these cases, customers can take advantage of Dynapar’s in-house test capabilities for incremental encoders. They send in the part and our team evaluates it to establish key parameters and identify the correct crossover Dynapar encoder. Customers reach out to Dynapar for a variety of reasons ranging from obsolete parts and vanished vendors to available parts that involve excess lead times or cost. In the case of the winemaker, the maintenance department was simply looking for a better performing, more reliable alternative to their previous device. They found it at Dynapar and had the new encoders on their shelves in inventory in a matter of days.